Suitable: Support for IOS8.0 above or Android4.3 above system mobile phones. Such as for iPhone 7 Plus Samsung Galaxy S7 smartphones. Can be used independently. 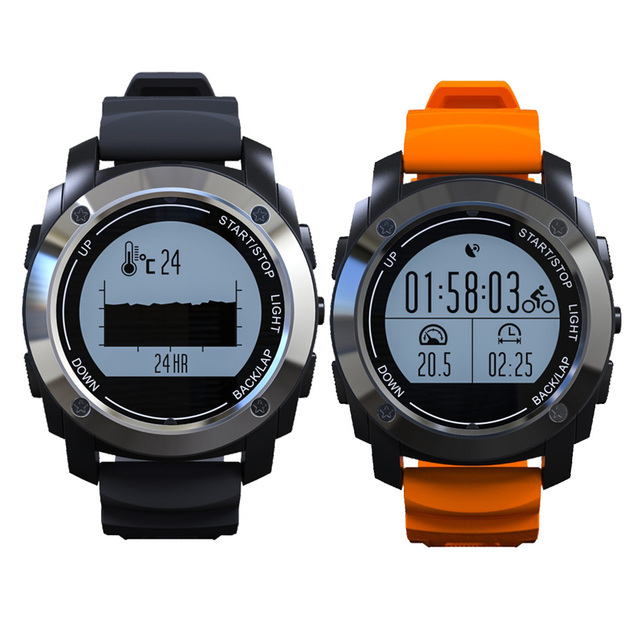 Practical: GPS positioning, precise calculation of sports mileage, sports speed, longitude and latitude positioning, time, altitude. Come with wireless contact point type smart watch charger, automatic adsorption, convenient and simple. 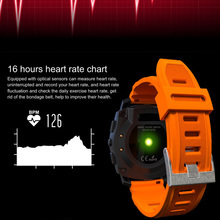 Special: 4 different exercise modes include riding, climbing, running, walking, can real-time view of the movement data. 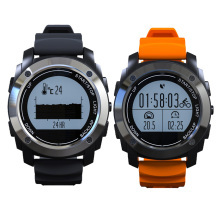 Such as heart rate, step frequency, speed, mileage, calories, etc. 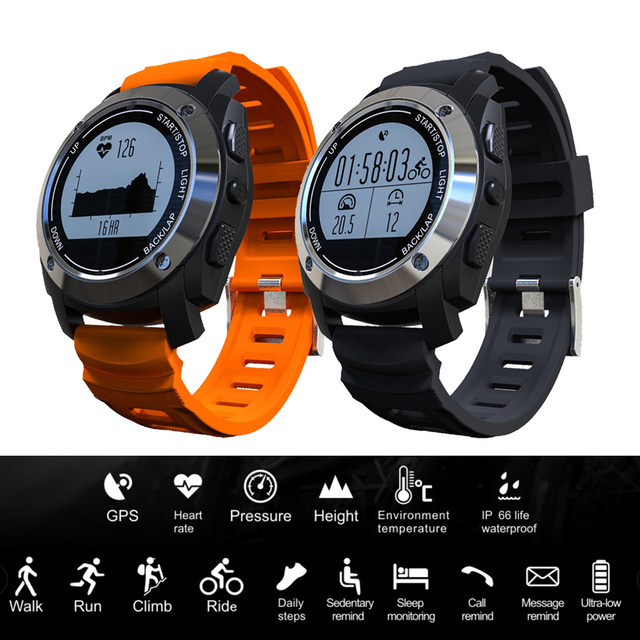 Durable: Soft, sweatproof, breathable and comfortable experience with stable buckle, IP66 daily life waterproof. Professional satellite antenna to aviod metal material disturbance. 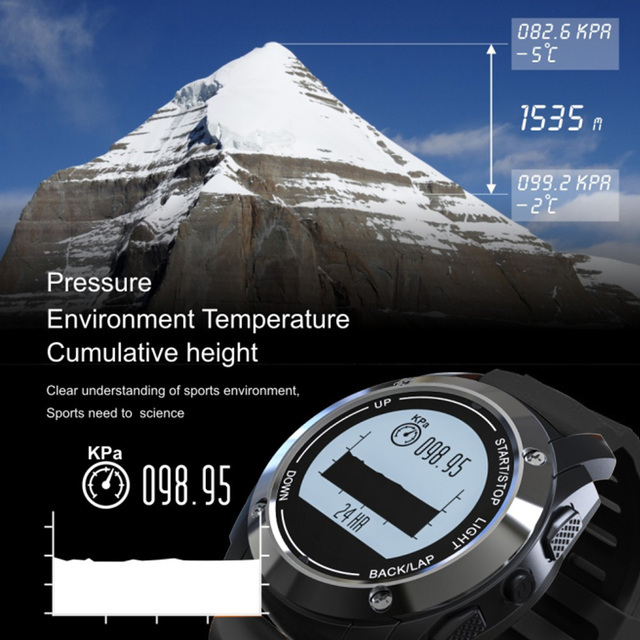 Feature: Build-in air pressure, temperature, altitude and heart rate sensors, to achieve 24 hours barometric charts, temperature charts and height charts, 16 hours heart rate charts. 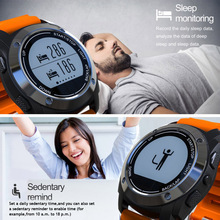 Sedentary, calls and information reminder, sleep monitoring, ultra low power consumption, alarm clock. When the phone had notice information, it will remind you of the sound of shaking. Material: 316 stainless steel, silicone band. Display screen resolution: 128 x 128pixels. Support languages: English, French, German, Spanish, Portuguese, Italian, Polish, Russian, Japanese, Czech, Simplified Chinese, Traditional Chinese. Authentication: CE, ROSH, MSDS. Battery(Include) endurance time will have diffrence due to the device settings, sensors, and scenarios. 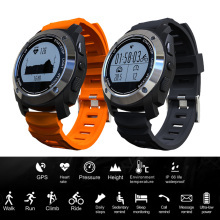 1 x Outdoor Sports Smart Watch. 1 x Wireless Charger Dock. 1. 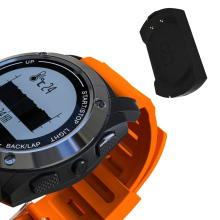 Note: Only 1 watch, 1 wireless charger dock, 1 data cable, other items are not included.